John McGuire was born and raised in Henrico County. As a child, John spent time in foster care, where he attended nine different elementary schools. His grandparents rescued him and his older sister from the foster care system and years later, John graduated from Henrico High School in 1988. After graduation, John’s call to service lead him to the U.S. Navy. 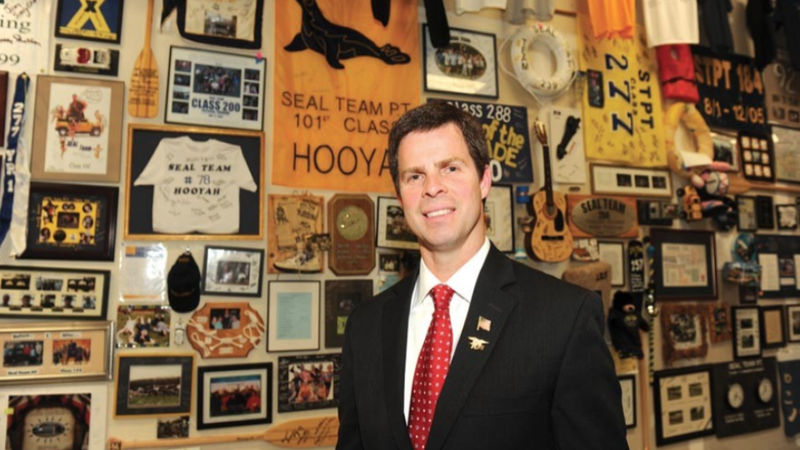 After ten years of service as a Navy SEAL, he settled back down in Virginia. There in his hometown of Henrico, John founded a small business, SEAL Team PT Inc., a fitness company dedicated to helping teams and individuals become stronger, healthier, and more confident. 19 years later, that company helps train Division 1 athletes and corporations all over the world. In addition to running a successful business, John has been brought in by groups as a motivational speaker. In his speeches, he shares what he is most passionate about, the principles of teamwork and leadership. John’s believes one of the biggest keys to success in life, no matter what you do, is teamwork. As a member of the Virginia General Assembly, John’s focus is on good policy, not politics. Whether it’s fighting for better services for our veterans, law enforcement, and first responders, tackling the Heroin/Opioid epidemic, or making sure our tax dollars are being used efficiently, John knows that by listening to each other and working together, we can create a brighter future for our Commonwealth. As a husband and father of five, he knows the importance of building a true partnership between our families, our communities and our state government. John and his wife Tracy live in Henrico County. As a local small business owner for the last 18 years, John understands the obstacles holding businesses back in our area. John wants to help businesses grow, create jobs, and invest in our communities by cutting taxes and removing regulatory hurdles. As a local small business owner for the last 18 years, John understands the obstacles holding businesses back in our area. John wants to help businesses grow, create jobs, and invest in our communities by cutting taxes and removing regulatory hurdles. Virginia’s economic growth rate has trailed the national average for five straight years. We must act and support economic development by reducing burdens on our hardworking taxpayers. As your Delegate, John will oppose any measure to increase personal and business taxes. As a former Navy SEAL and father of five, John knows exactly what it takes to keep our homes and families safe. John will fight the online exploitation of children and fight the growing threat of gangs on our streets. John will work tirelessly to prevent substance abuse disorders and help those in recovery to get back on their feet. As a father of five, John understands our children are our most valuable resource. John understands now is the time to prepare our students for the jobs of the 21st Century. We must fix the one-size-fits-all education system that has failed, and embrace a diverse range of school choice options that allow the student and their parents to choose the education that best fits their needs. John wants to cut burdensome regulations that limit competition, inflate health care costs, and reduces access to health care providers – particularly in rural areas like Louisa and Goochland. John is committed to overhauling our current health care regulatory system so that patient’s wellbeing will be our top priority. As your Delegate, John will advocate for all first responders. Police, firefighters, and EMTs work tirelessly, and often thanklessly, to ensure our safety. We need to equip our public stewards with the tools and resources they need to keep us safe. John will work with our local communities to provide the compensation and benefits our First Responders and Law Enforcement deserve. As a former Navy SEAL, no one will fight harder for our veterans and their families than John. The Commonwealth of Virginia currently taxes retired veterans’ retirement benefits while neighboring states like North Carolina do not. We are losing valuable and skilled members of our communities to North Carolina because of their favorable tax structure. John believes in removing the tax burden on our veterans. John will work to ensure Veterans and their families receive their earned benefits and will work with our local business leaders to create job opportunities for our returning veterans. As your Delegate, John will advocate for broadband expansion throughout the 56th District. John understands we must promote infrastructure modernization to enhance our students learning experiences, help existing businesses grow, attract new business, and increase jobs in our district. John has spoken with voters throughout the district on the opioid crisis. He has met families who have experienced unimaginable loss. Opioid addiction has spread through the entire Commonwealth of Virginia, including the 56th District. As your next delegate, John will support legislation to combat the opioid crisis that is negatively impacting our communities. If you have any questions for John McGuire, send them to Virginia onAir at virginia@onair.cc. Virginia will first see if John McGuire has answered your question somewhere else. If they haven't, Virginia will pass on your question to John McGuire and post their answer, if they have one. 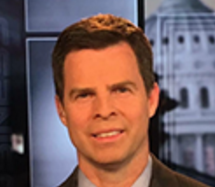 If you have any suggestions for John McGuire, especially if you are a current or former constituent, send them to Virginia onAir at virginia@onair.cc. Virginia will record your suggestions here. If you have something positive to say about John McGuire and you are a Virginia onAir Hub member, send your recommendations to Virginia onAir at virginia@onair.cc. My name is Virginia onAir. I am the lead curator for this John McGuire post.